Wintertime is notorious for drying out your skin. All that heat blowing without the humidity can instantly draw the natural moisture into the air where it won't do anyone any good. But it's easy to overlook just how hard winter can be for your hair too. It may not take long before you notice that your hair looks limp or discolored. Here are a few tips for avoiding chronic dryness, dullness, and dandruff. The more you shampoo your hair, the more likely it is that you'll slow its growth and encourage flakes to form. Use an anti-dandruff shampoo designed for delicate hair when you wash it and invest in a shower cap for the other times. Leaving the apartments in Edgewater, NJ with damp hair in the morning is a good way to encourage breakage. When your hair hits the cold, the hair shaft will begin to expand. This can not only result in breakage, but it can also cause your color to fade. Better to use a blow dryer if you absolutely have to than risk it. The more coarse fabric your hair comes in contact with, the more the friction will damage the hair. This is especially frustrating because your roots should be the healthiest part of your whole head of hair. It may take a little extra time, but sewing a silk liner into your hats will keep your hair that much more protected from the harsh winter air. Coconut oil is one of those cure-all remedies that you can use on practically any body part. Once a week, try slathering your hair in coconut oil and wrapping it up in a towel before you go to bed. 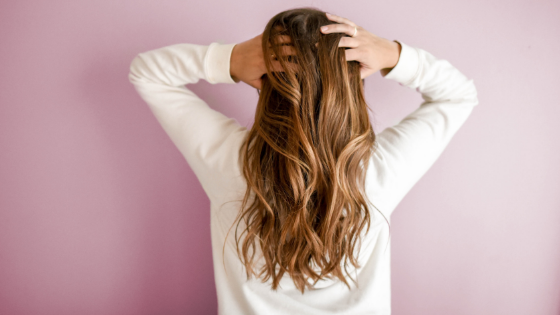 This trick should help you repair your hair from its many trials and tribulations while simultaneously reminding you of summer nights. Wash it out completely in the morning and enjoy the touchable strands all day long. The apartments in Edgewater will be far more comfortable if you take care of yourself. If you're looking for a new space to call your own, call Infinity Edgewater today. We have all the space and amenities you need to help you stay happy and healthy.